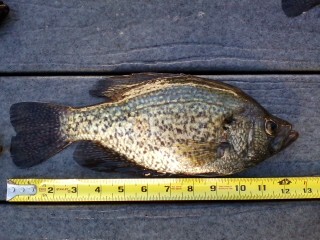 Crappie are hitting here in East TX. I have a lake less than 5 miles from the house that is full of them. Bobby Garland Bluegrass Baby Shad has been the hot ticket. Getting my share of these as well. Nice flags.....I limited today through the ice. 25 keepers from 9 1/2 to 12 inches. Crappie is nature way to make a warm water fish as beautiful as a trout. Love the Bobby Garland baby shad. I fish open water with casting or vertical jigging with 1/32 oz to 1/8 oz chartreuse jig and almost any of the Bobby garland colors. Electric chicken works well here as well as pearl. Water temp is 42 today and the perch are starting to stage. 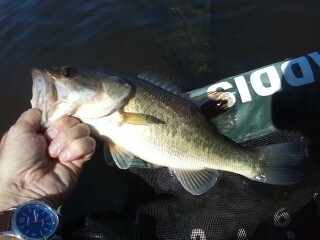 Caught several over a pound today.